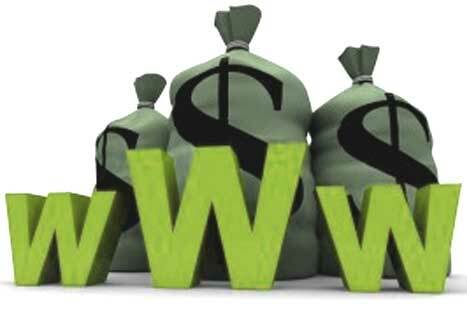 With the internet growing bigger everyday, so is the value of the worlds biggest websites. Every website out there has a price; however we do not think of this with most websites as they are proberly not worth a lot. Well in this post i am going to show you five of the most valuable websites in the world and tell you a little about them. Google is the biggest website in the world and with huge traffic comes huge profits. Google first started in 1998 and was created by Larry Page and Sergey Brin.In 2011 Google’s revenue was over 37 billion dollars and goes to show how traffic equals money. As well as this it also shows how your new websites is not going to start making huge profits overnight. Google has been around for over 14 years and their profits grow every year. Nearly everyone online now is on Facebook and with over 800 million users, Facebook is now worth billions. Since 2004 Facebook has gone a long way to be where it is now and defiantly deserves to be one of the most valuable websites. We can see from Facebook that you do not always have to charge your users to use your website but instead it may be better to display advertisements instead as you are going to get much more users to a free service. Also Facebook’s iconic design is what everyone recognizes as soon as they see their colour scheme. Yahoo is one of the most biggest and best websites online, providing users with multiple services. Yahoo goes to show that you do not always have to stay in one niche to be successful as Yahoo provides everything from Email to answers. If you are planning on going big with your websites then you may want to be in more than one niche for ultimate success, However it is best to start off in one niche and build up brand reputation before you decide to expand. Everyone has used Wikipedia some time in there internet life. Wikipedia is the worlds biggest encyclopedia which whose content comes directly from its users. Wikipedia is also one of those websites what have been around since the start of the intent and the domain was originally registered before Google. Wikipedia is another website which shows that free content is more successful than premium content as people can use Wikipedia whenever they are looking for information in virtually anything. Launched originally as a small book store, Amazon is now one of the largest shopping destinations online today. This takes a different approach to making money than any of the other websites in this post as amazon makes money from sales and not advertising, however just like the other websites amazon has huge amounts of traffic. Even though Amazon has many competitors however has been round for many years and has the reputation that every other website wants.